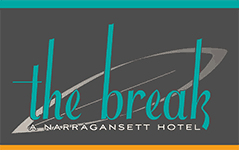 The Break Hotel is a 16-room boutique property in the beloved beach town of Narragansett, Rhode Island a distinctive stretch of sand and sea in southern Rhode Island. 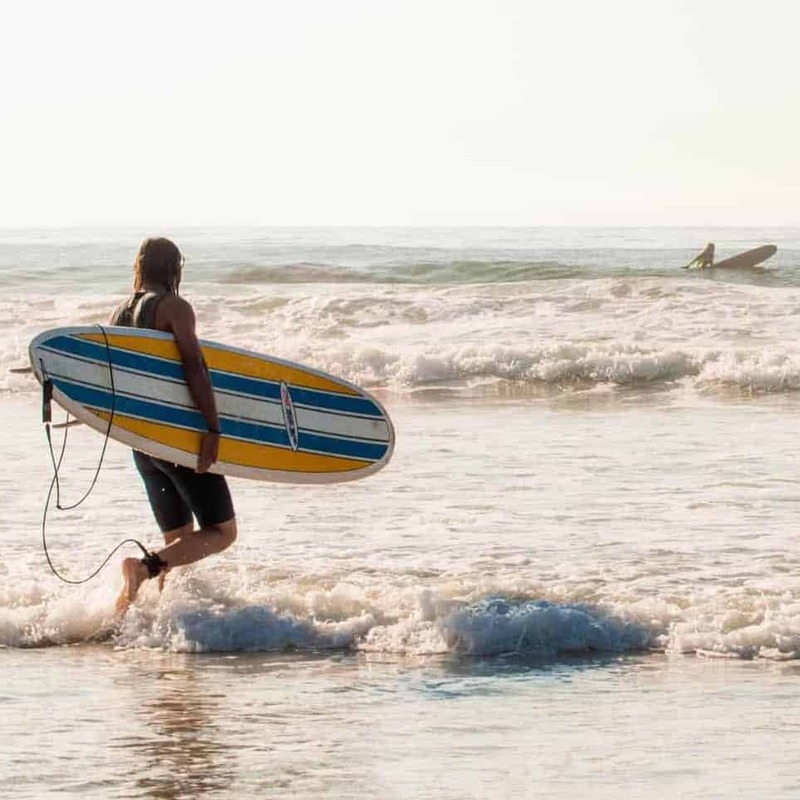 Just 30 minutes south of Providence and Newport, we embrace the local beach community and the retro-chic surf vibe. Considered an ocean gem, our guests love our beach house atmosphere and our team’s attention to the littlest details. 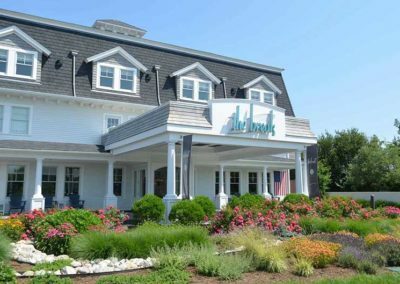 From your first steps through the doors, you’ll immediately notice the turquoise color schemes, the retro aura and the whimsical touches that have made The Break one of the most desired Rhode Island hotels. Our 12 rooms and four suites are the epitome of luxury with customized interiors and essential beach house comforts. 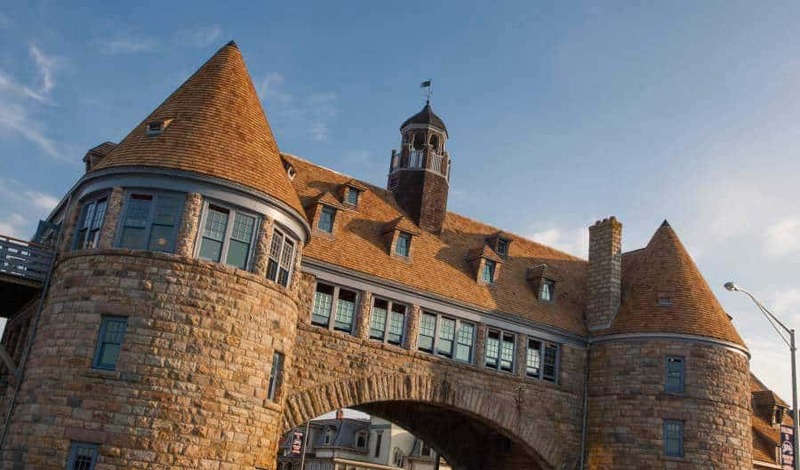 Our Narragansett hotel offers the amenities you desire: from our year-round designer saltwater pool, to our Peloton bike, complementary backpack beach chairs & bikes, heated bathroom floors and fireplaces in every room. Begin each morning with a delicious and varied small plate breakfast in our main dining area or by the pool and end the day taking in the salt air and sunset on our ocean-view rooftop bar. 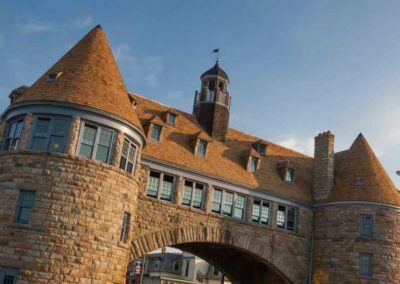 Recently voted the best New England beach town by Boston Globe readers, Narragansett is the perfect place to escape. 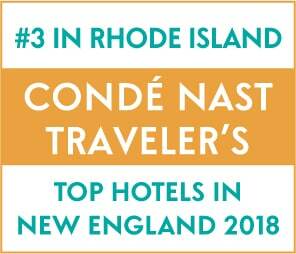 Located in the southern part of the “Ocean State”, it is easily accessible from anywhere in New England (30 minutes to Newport, 45 minutes from Providence, 90 minutes from Boston, 3 hours from New York City, an hour and 45 minutes from Hartford). 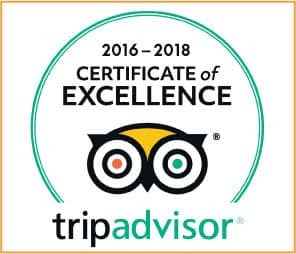 The town’s spectacular beaches and scenery attract thousands of visitors each year, offering year-round opportunities to enjoy nature, participate in local events and create unforgettable beach memories. 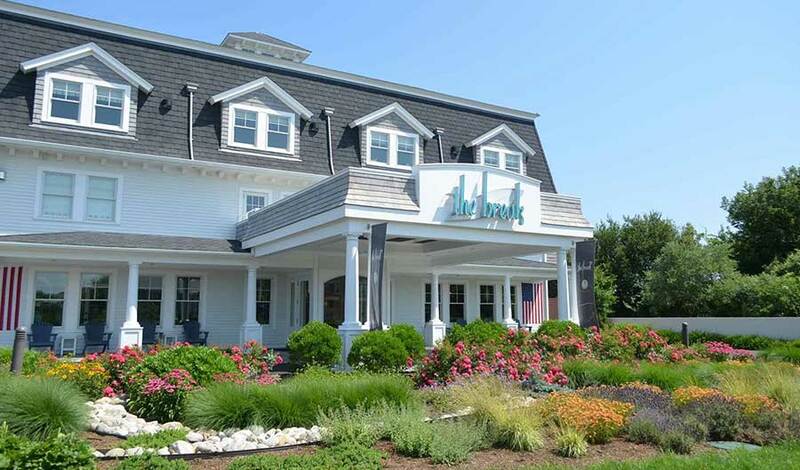 The Break is located near Narragansett Beach (one of the most highly rated beaches on the east coast) as well as Scarborough Beach, the Block Island Ferry in Point Judith, and a short drive from the University of Rhode Island. When compared to other Narragansett hotels, you’ll see we’re the perfect home base for your beach getaway – anytime of the year. 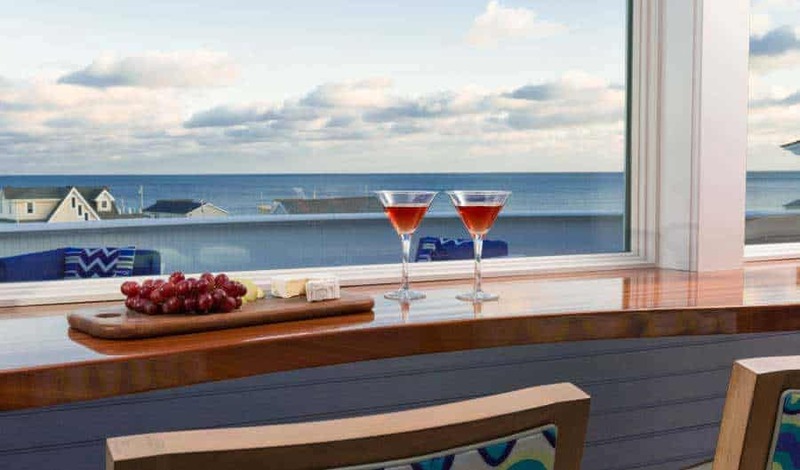 We invite you to visit Chair 5, our signature restaurant and rooftop in/outdoor bar for stunning ocean views and locally sourced menu, driven by quality ingredients. Our main dining room is located adjacent to the lobby and looks out onto our saltwater pool and sun deck. 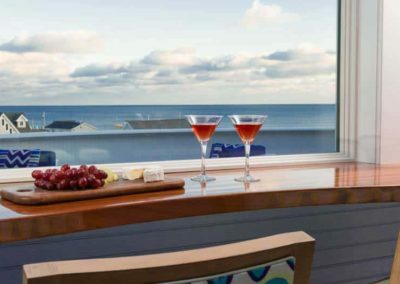 Our rooftop bar provides stunning ocean views either alfresco style on the deck or in our indoor lounge area. Menus feature familiar beach food—calamari, fish and chips, lobster rolls, fish tacos—made with handcrafted attention to detail and flavorful twists. Raw bar selections haven’t traveled far from farm to plate: enjoy the local Bluff Hill Cove oysters, cultivated two miles away, as well as other local favorites. And don’t forget we’re a favorite South County destination for a perfect spirited Sunday morning brunch! Enjoy our “build your own Bloody Mary bar” featuring Sons of Liberty Vodka and favorite comfort dishes such as chicken + waffles, croquet madame, or brioche french toast. 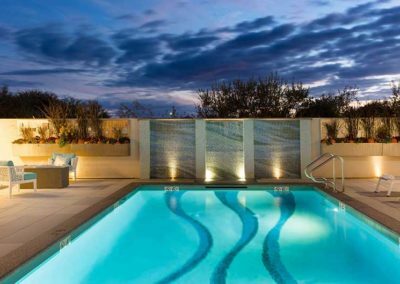 A sanctuary for the senses, our micro-spa is open to both guests and the public and features private treatment rooms for personal rejuvenation. Located in our lower level we provide relaxing massage or facials, body scrubs and wraps, as well as other treatments. 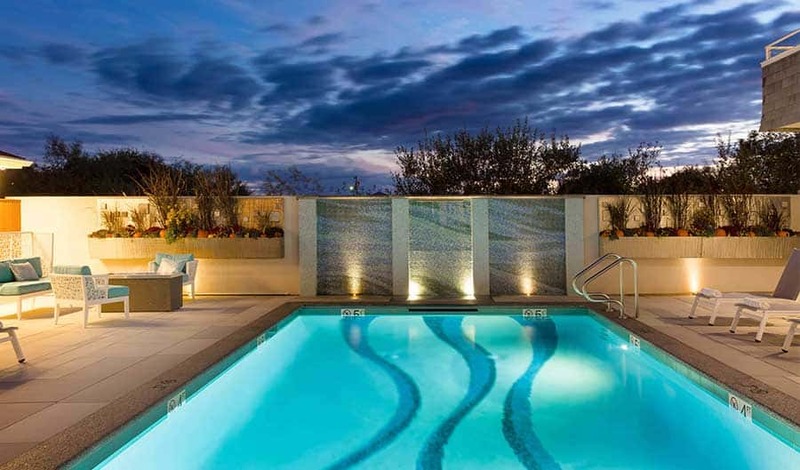 You’ll leave our Rhode Island hotel feeling relaxed, refreshed & sea-soothed!